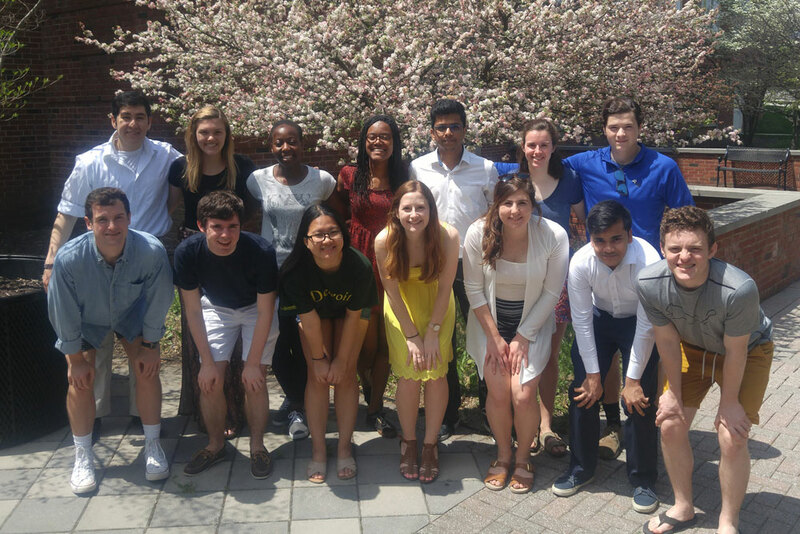 Leadership Fellows are peer leadership educators who assist in the planning of major leadership programs and are responsible for creating new leadership-related workshops for campus organizations. The Leadership Fellows serve the Alford Community Leadership & Involvement Center in a special internship capacity. As members of the Denison community dedicated to leadership development in an inclusive learning environment, we value integrity, passion, accountability, creativity, compassion, vulnerability, and possibility. We model these values by meeting the needs of the Denison community through the provision of valuable resources and the implementation of leadership programs. We aim to assist individuals and organizations in the realization of their leadership potential through organizational assessments, leadership workshops, values-based programming, and other progressive means of further developing individual and organizational leadership on campus. We are committed to facilitating the development of personal leadership styles through the application of theory as well as the recognition and commendation of outstanding leadership. Assist in planning major leadership programs like The LeaderShape Institute, D.U. Lead, etc. Who can apply to be a Leadership Fellow? This opportunity is available to all students who have a special interest in leadership. Applicants must be graduates of one or more leadership programs at Denison. Examples include: The LeaderShape Institute, D.U. Lead, Stretch!, O.N.E., Signature, etc. Leadership Fellows must have a minimum 2.75 cumulative GPA. What is the time commitment & who supervises the Leadership Fellows? Leadership Fellows serve up to two office hours per week in the Alford Community Leadership & Involvement Center. Additionally, Leadership Fellows attend one Fellows meeting per week and a leadership lab. How are Leadership Fellows selected? Leadership Fellow applications will be available online in the spring. Applicants who meet minimum requirements will have their applications reviewed by a committee of outgoing Fellows and the Director of Alford Community Leadership & Involvement Center. Who can I contact with questions about Leadership Fellows? The Leadership Fellows’ office is in Slayter Union. Feel free to stop by CLIC to setup an appointment or email leadershipfellows@denison.edu.